A common question people ask me often is what I eat everyday and if I follow a special diet. I don’t really follow a strict “diet” but I do try to follow a healthy diet. The way I eat is part of my lifestyle, it goes along with exercising, trying to be positive, happy, & fulfilled. Growing up, my mom used to give us healthy food, lots of fruit, vegetables, wheat bread, some protein, every meal was cooked fresh. One of the fruits we’d eat was papaya. I also ate it for breakfast on weekends during high school and college (I lived with my parents). 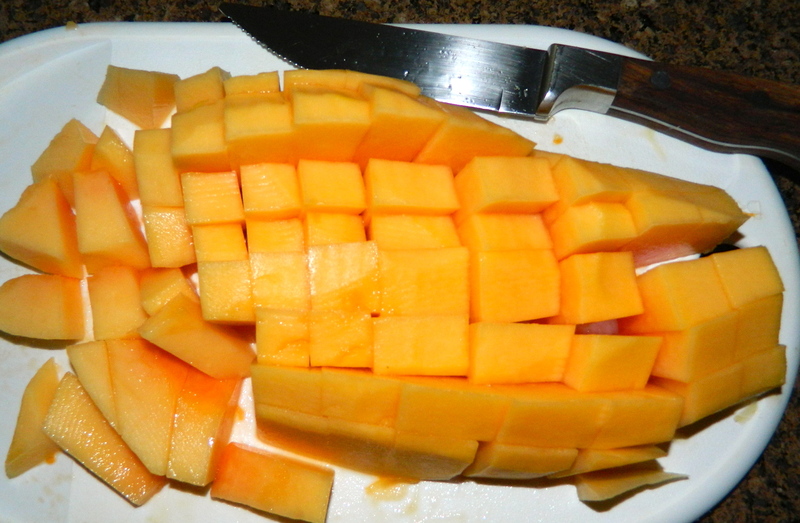 Papaya is not that easy to find in the U.S., except for Hawaii. After I moved away from my parents’ home, papaya became one of my favorite fruits to eat for breakfast when I would visit family in Mexico. 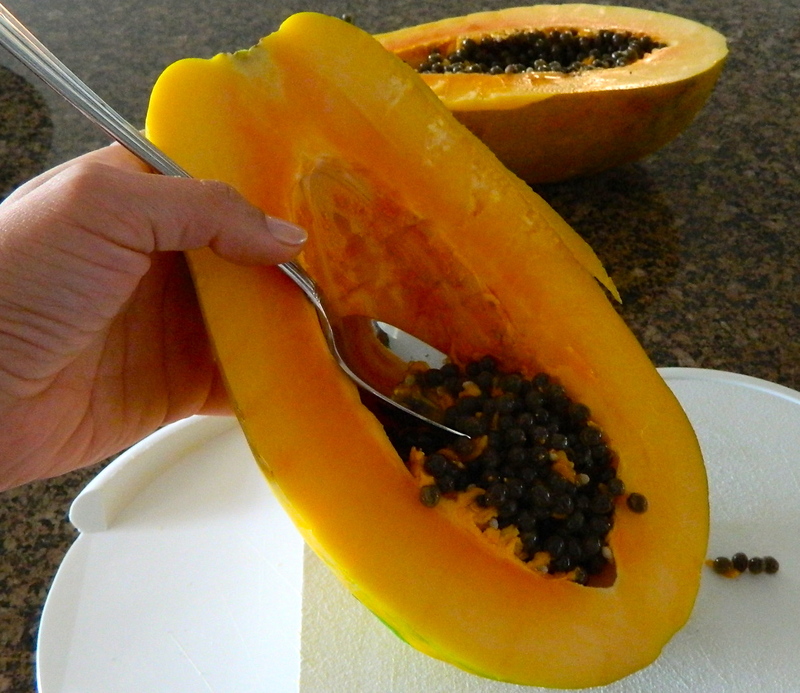 My mom and grandmother knew I liked it, so they’d prepare a large bowl of papaya for me, yum! My mouth is watering just writing about it! When I moved back to San Diego, I wouldn’t really buy it because it was hard to find at the “general market” grocery stores, plus I didn’t want to make the time to peel it and chop it up. I’d opt for other fruit. About two years ago, I discovered that Northgate Market sells it chopped up in convenient, individual serving containers. Plus, Northgate Market is only a few miles from the TV station where I work. I would go to Northgate at the beginning of the week to exclusively buy four containers of papaya, that is all I would buy. I would store the containers in my small refrigerator at work. I’d eat them for lunch or midmorning while working at my desk. 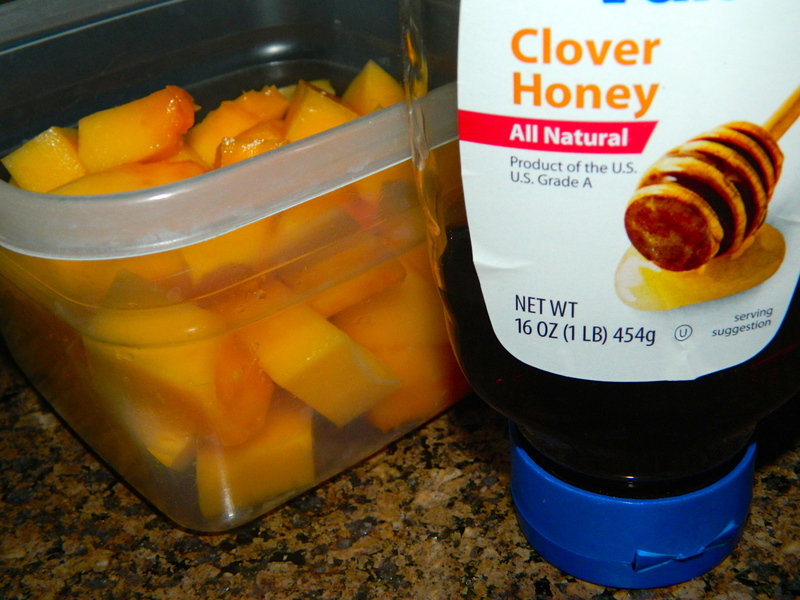 I’d try to go back to Northgate on Fridays to buy three more containers of papaya. I’d take two home to eat on the weekend and leave one in the refrigerator at work for the following Monday. The papaya they sell at Northgate is sweet & delicious! I went so often that Brandy, the associate in the fruit department, knew me and was always friendly! Every once in a while, I would buy an entire papaya and chop it up at home. Now, I am used to chopping up the papaya fresh at home. 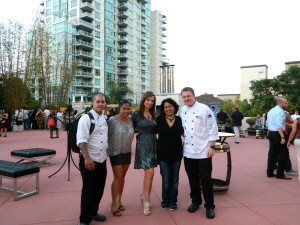 I’ve been trying to do this more often since my schedule has been busier, making it harder to get to Northgate Market. 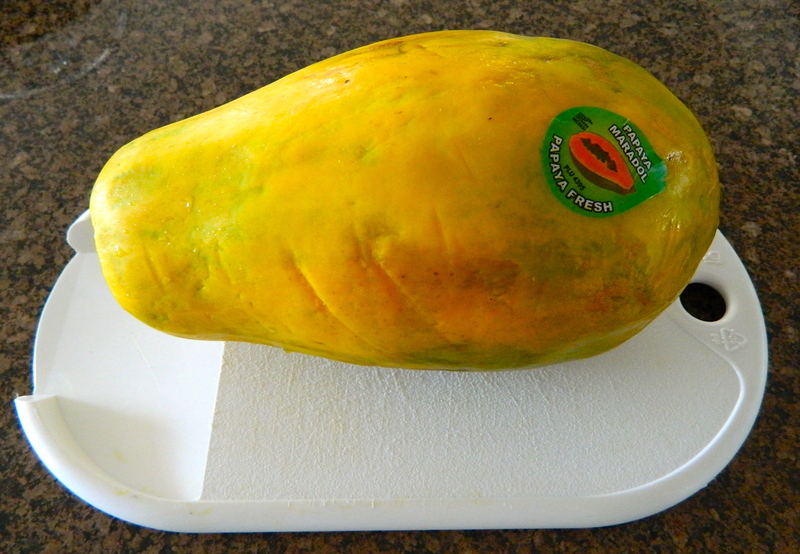 Every two weeks, I buy a few small papayas at Sprouts or Northgate Market, and store them in the refrigerator at home. The papaya sold at both stores is from Mexico. 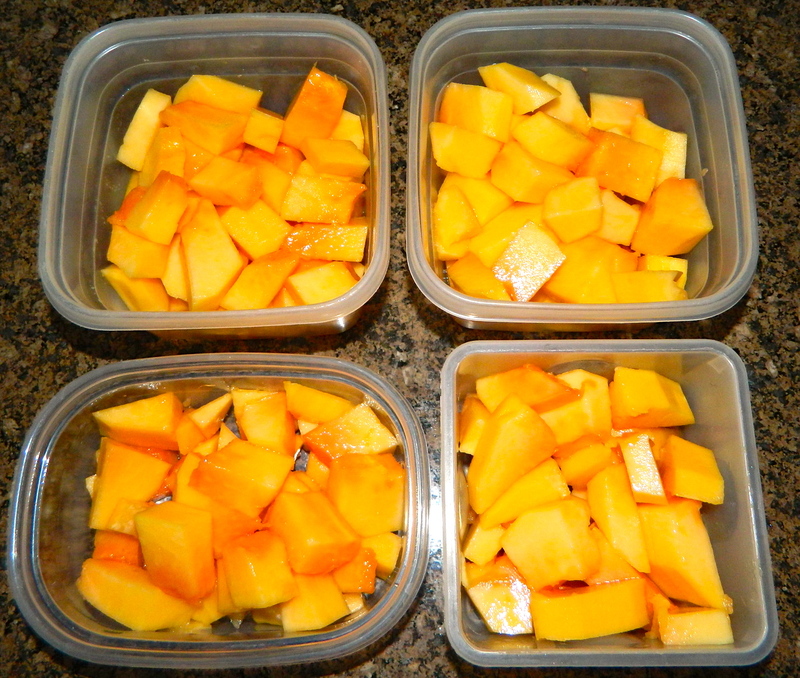 I’ll chop up one papaya at a time and store it in individual servings in small plastic containers, then refrigerate it. This way, it is convenient since the papaya is chopped and there is no excuse to not eat a healthy breakfast. It also keeps me feeling pretty full throughout the morning since it has lots of fiber. The smaller papayas tend to be sweeter & I wait for them to be ripe, they just melt in my mouth! It is said that Christopher Columbus called papaya, “the fruit of the angels,” for its sweet taste and soft, butter-like consistency. Papaya has many vitamins, minerals, nutrients, and fiber. You can find more information on the benefits of eating papaya on The World’s Healthiest Foods. The most delicious papaya I have eaten was in Hawaii, it tasted like a combination between mango and papaya, with more of a tropical taste! It reminded me of my childhood in San Diego when my mom would occasionally buy very small papayas, she would tell me those were Hawaiian papayas. In our home, I pretty much buy papaya just for me, since my hubby doesn’t like it. I usually eat it plain, but sometimes add honey. If I want something with chili, I eat it with Tajin or chili powder and lime, also delicious! First I wash the papaya and set it on a cutting board. Remove the seeds. 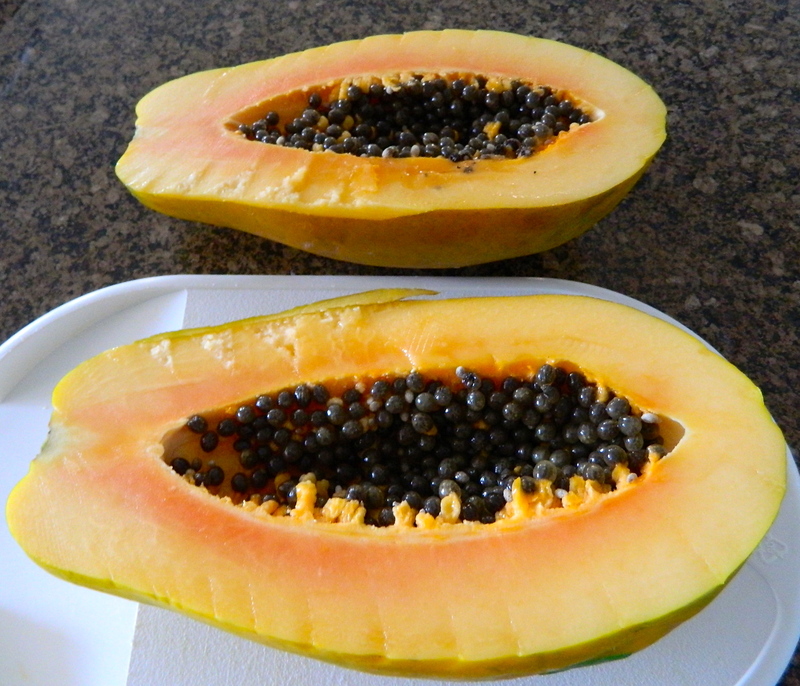 This papaya had lots of seeds, some smaller papayas have very few seeds. 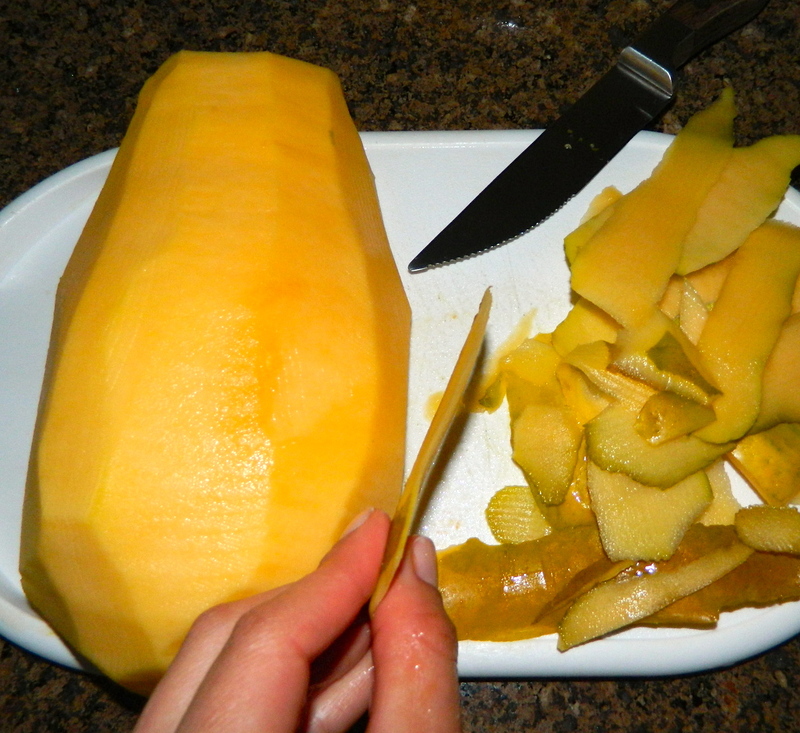 Next, I peel the papaya with a knife, it has a very thin peel. I cut it into small pieces. I place it in plastic storage containers, in individual servings. I cover the containers and place them in the refrigerator. Ideally, these should be eaten in the next few days, or a maximum of about five days. Papaya is usually sweet, particularly the small, ripe one’s. 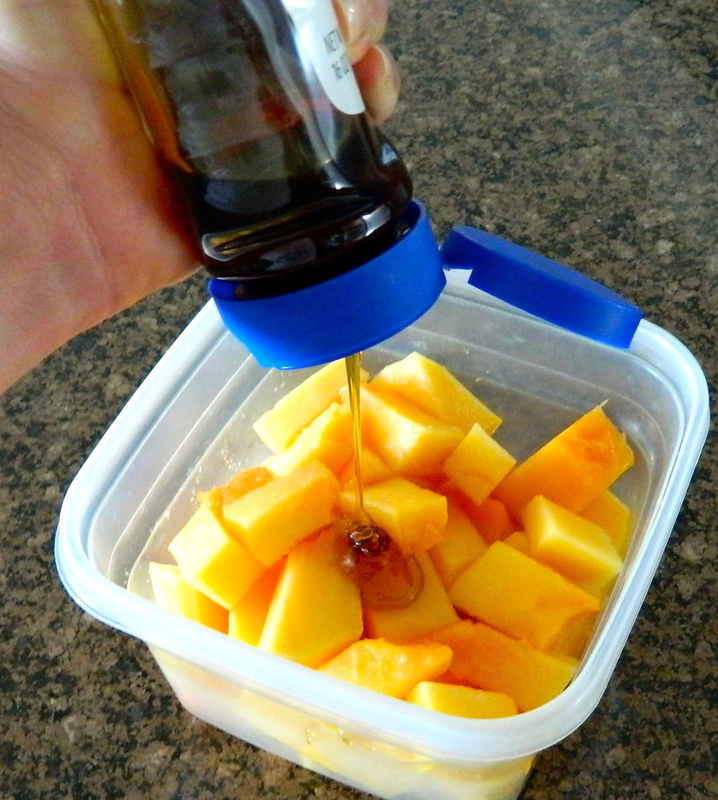 You can also add honey to sweeten it even more. 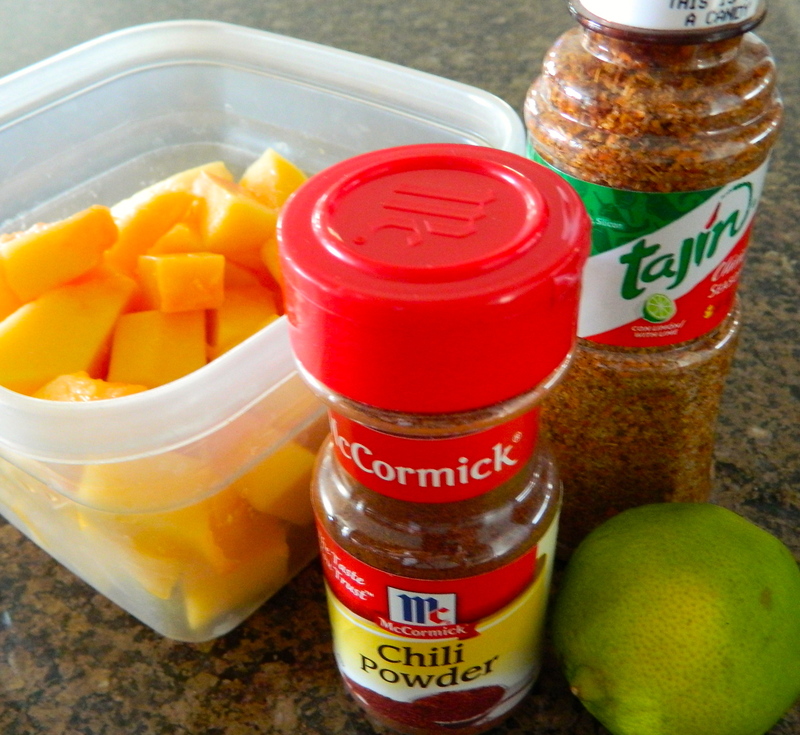 For a chili and lime flavor, Tajin or chili powder with lime can be added. 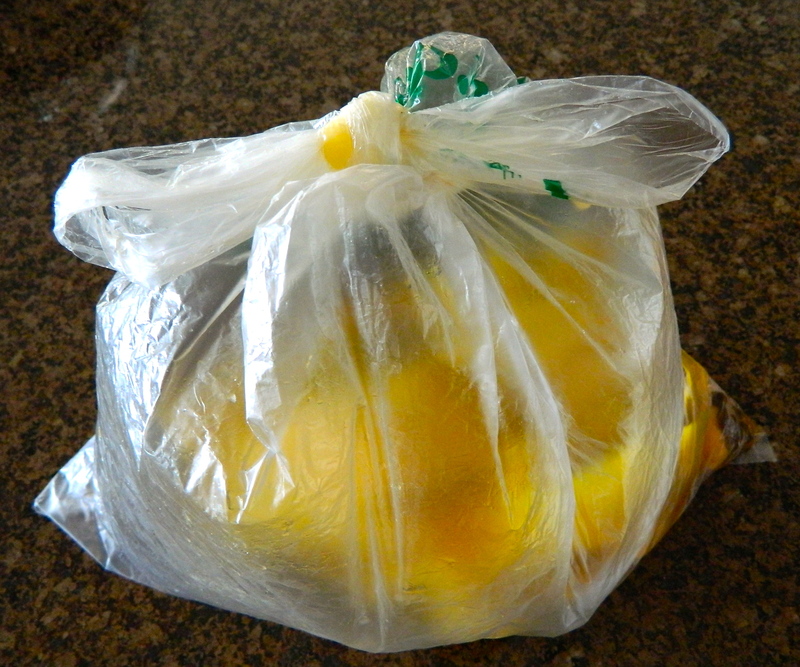 I use the grocery bag to collect the seeds and peel, making for quick and easy clean-up. A little tip: I make a knot on the bag, for easy disposal. 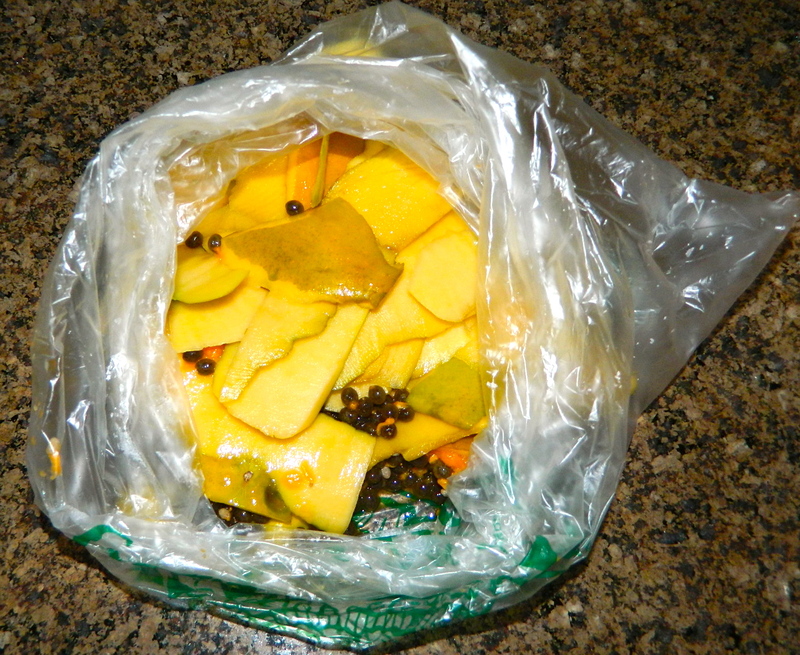 Papaya peel and seeds can have a strong smell after a few days if you put them directly into the kitchen trash can. Placing them in an enclosed plastic bag helps mitigate the smell. Food – it has been around since the beginning of man! We love it and enjoy it, but we don’t always enjoy gaining weight from it! At least, I don’t. Who agrees? Well, since I have been married maintaining my weight has been even more challenging. My husband likes to eat out often and he doesn’t like to eat the same thing two days in a row or eating left overs. I can eat the same thing everyday and be ok with it. 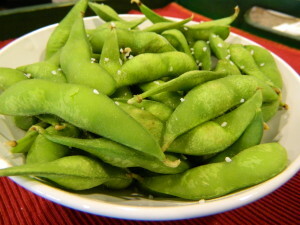 I am a pretty simple eater and as long as I have healthy options around, that is what I will eat. Even with snacks, if I am craving something sweet and have some frozen mango in the freezer, I’ll eat that and bam, my craving is gone nan junk food, ha! 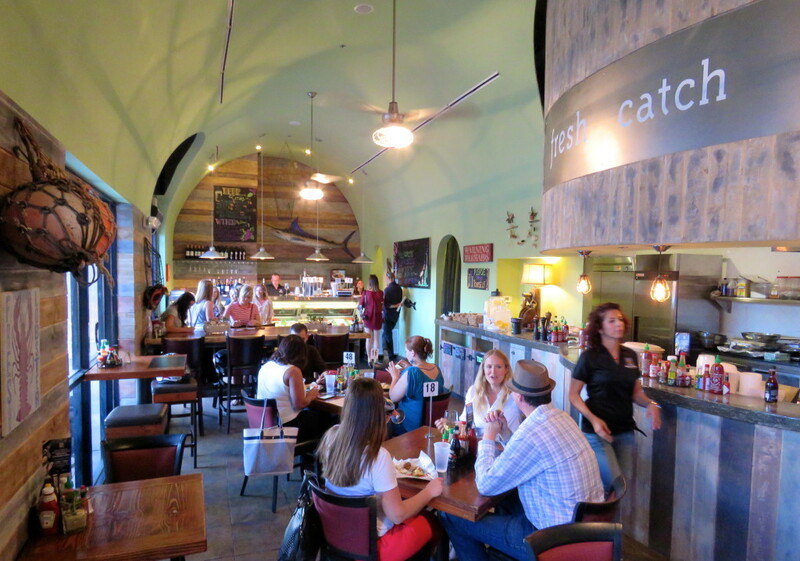 It is challenging for me to make healthy choices when we eat out! It takes will power! When I am sitting there, looking through the menu, going straight to the salads, then my eyes wander to the fries or onion rings! Yikes! 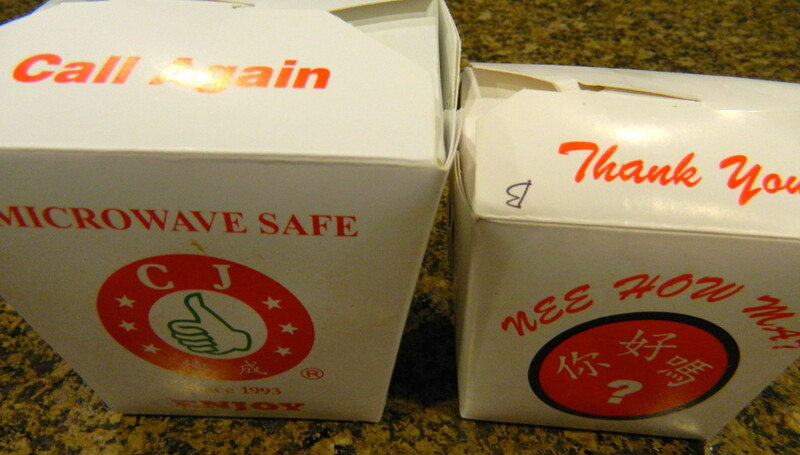 We order take out Chinese food about two times a month. 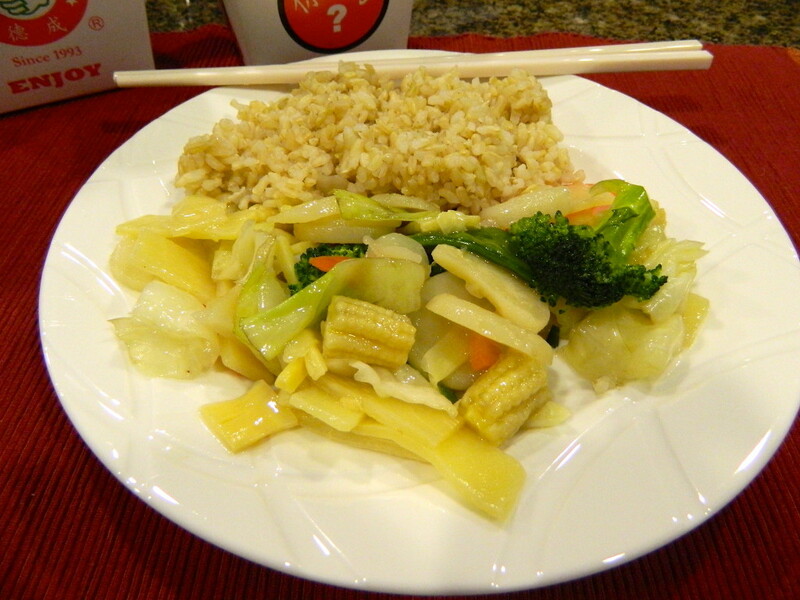 It is hard to not go for the sweet and sour chicken, or the fried rice! And, who doesn’t love fried egg rolls? I love these! Yum! But, I am really trying to keep it healthy and low on calories, so lately I’ve been opting for steamed vegetables and brown rice. It is a healthier option. Just be cautious of heavy sauces that may be added to the vegetables. This way, when my husband is enjoying his mongolian beef, fried rice, and other heavier options from the menu….I am still enjoying the Chinese food experience, just the low calorie and less fat, and low sodium version. I still can’t resist the egg rolls and usually have one! But, eating one is better than eating three egg rolls, and this way I don’t feel deprived. Instead of a soft drink or sweetened iced tea, I’ll drink water or a sparkling water, or green tea. For utensils, I’ll use chop sticks, we have some plastic one’s at home and it really adds to the experience of eating Chinese food (at least for me). It takes me longer to eat with chop sticks, so my brain gets the signal that my stomach is full before I end up overeating. Another trick I use, is that I serve myself on a medium size plate, not the large dinner plate, hence eating a smaller portion overall. After I serve the portion I plan to eat, I put away the leftovers right away….saving them for lunch the next day. If I leave the containers out, it is just too easy to go back to the kitchen counter and serve myself some more! Ah, I know, the tricks we use to maintain our weight. I never deprive myself of any type of food…especially not chocolate or foods I love, ha! I just try to eat in moderation and keep it healthy as often as possible. I figure, it all balances out. Remember, the most important thing is that you are happy with your life and yourself, at any size we may be….to enjoy life and that includes the joy of food! 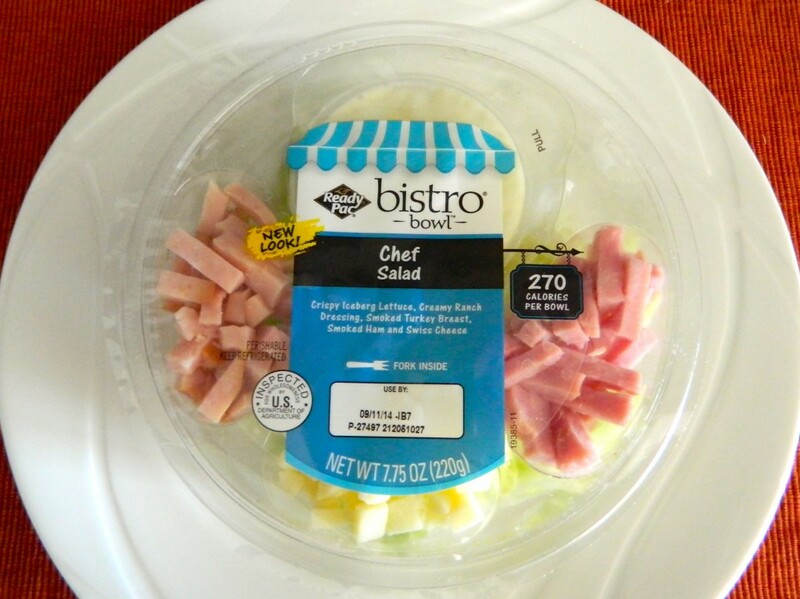 Do you have any suggestions of healthy take-out dinners you buy? Do you use any techniques or tricks to eat smaller portions or healthier meals? I’d love to hear them! PS – Healthy breakfast I eat everyday, how I stopped eating chips, and easy way to remember to take your vitamins. 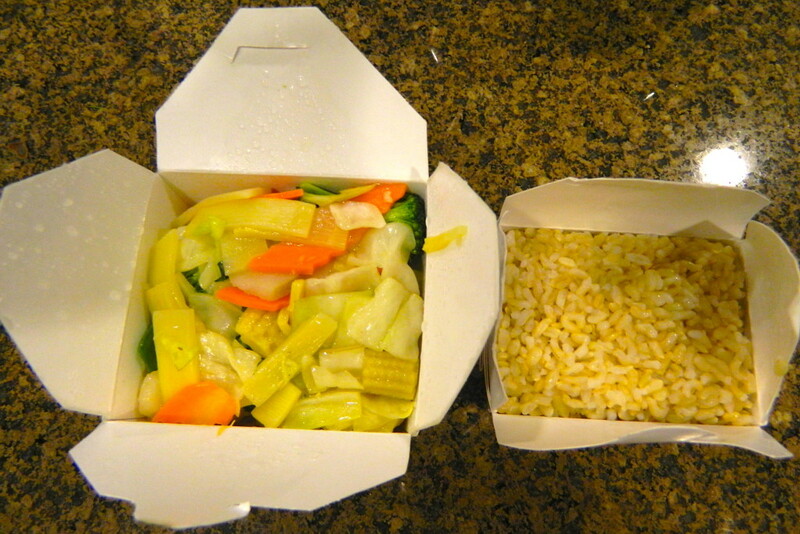 I order steamed vegetables and brown rice. Instead of a heavier main entree and fried rice. I serve myself on a medium size plate, not a large dinner plate, and use chopsticks. 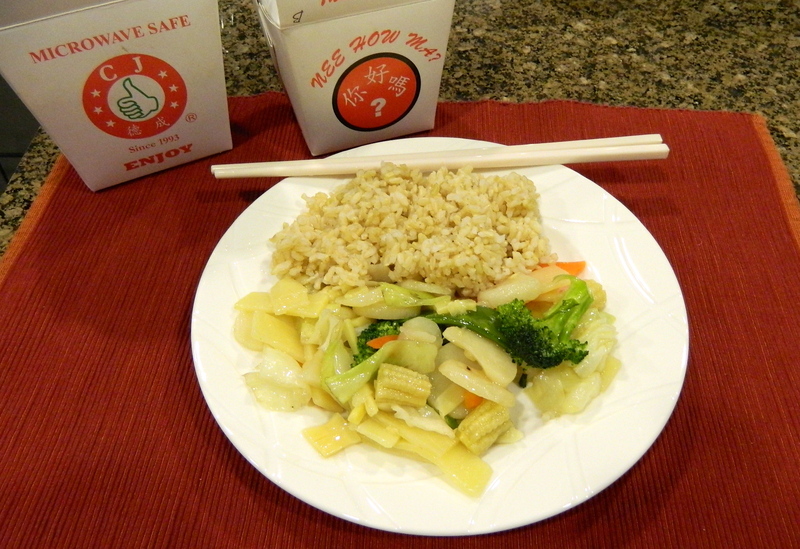 I enjoy the Chinese food experience….just a lower calorie, less fat, and low sodium option.